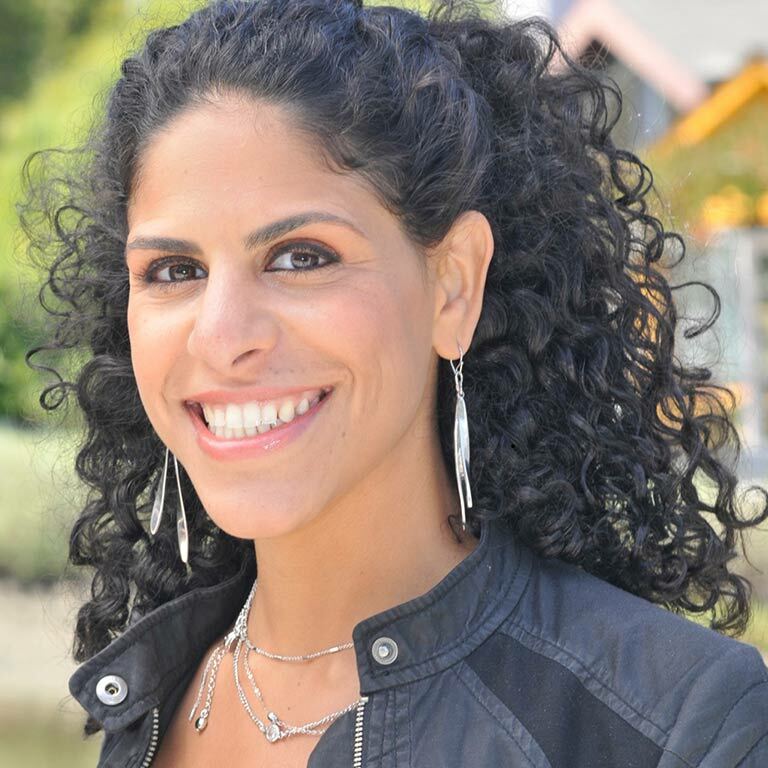 In 2009, entrepreneur, dancer, choreographer, and software engineer Miral Kotb combined her passion for dance and computers to create iLuminate, the entertainment technology company that combines state-of-the-art technology with exhilarating dancers who perform in the dark to create the ultimate audience experience. 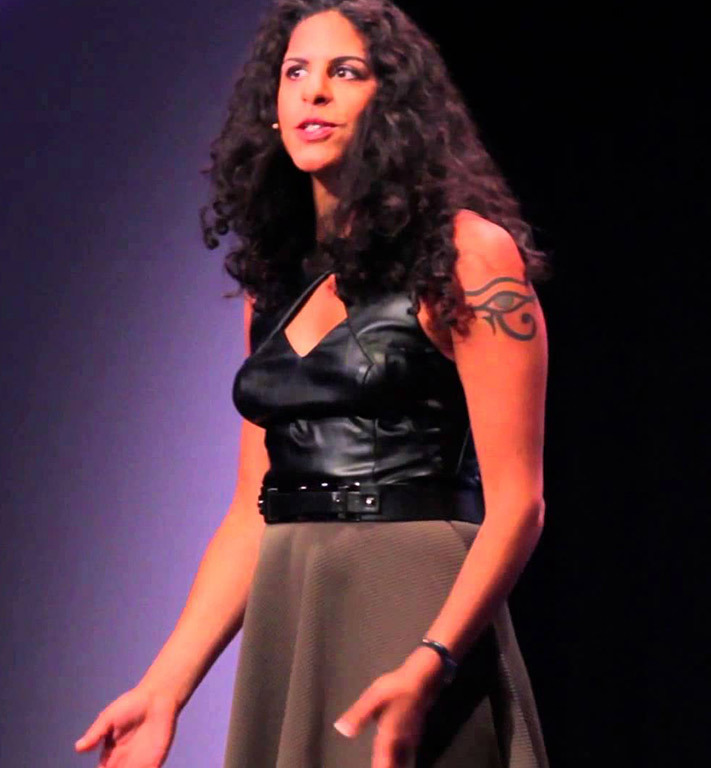 Miral received her degree in Computer Science from Columbia University while honing in on her dance skills in New York City. Upon graduating she secured a position with Bloomberg L.P. as a senior software engineer, then entered the world of mobile application development. Her work as a dancer and choreographer has been presented at numerous venues worldwide. The concept for iLuminate emerged while Miral was developing iPhone applications. She had a vision of dancers wearing costumes that illuminated wirelessly to compliment the music and choreography — wireless technology that could be controlled from the palm of one’s hand. She pursued her idea with help from some of the best hardware and software engineers in the business. 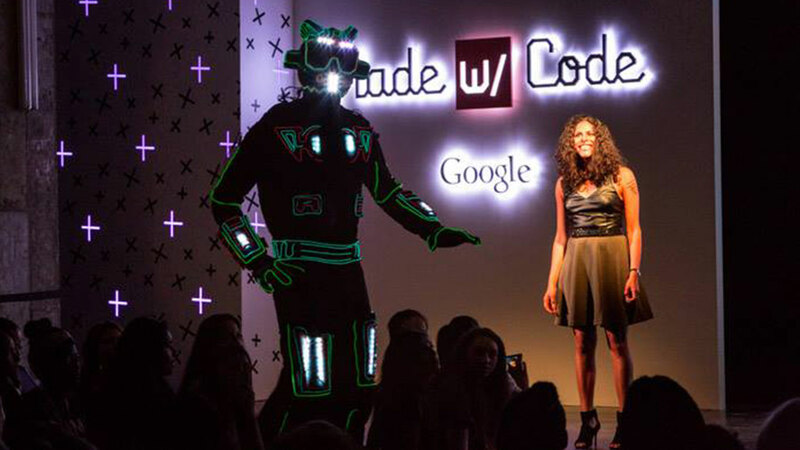 Developing iLuminate was the perfect way for Miral to combine her uniquely different worlds and follow her true passion. 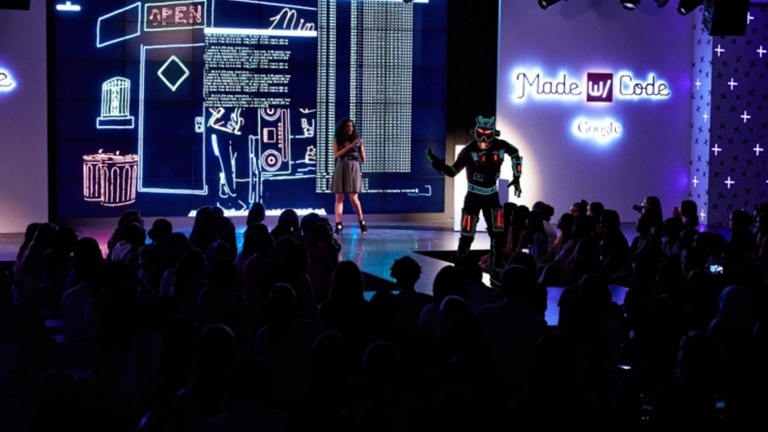 iLuminate took audiences by storm in 2011 when America voted the dance-in-the-dark sensation to be one of the top finalist positions on the hit television show, America’s Got Talent. Since then, Miral and her unprecedented technology, programming, choreographing, and overall artistic direction has catapulted iLuminate into an international phenomenon that mesmerizes audiences across the globe. Miral has programmed iLuminate’s patent-pending technology for such Grammy-winning superstars as Chris Brown, Christina Aguilera, The Black Eyed Peas and Death Cab for Cutie. The technology has also been featured on shows including Dancing With The Stars, The American Music Awards, Mira Quien Baila, The X Factor, MTV’s Video Music Awards, Nickelodeon’s HALO Awards, and the BET Awards. 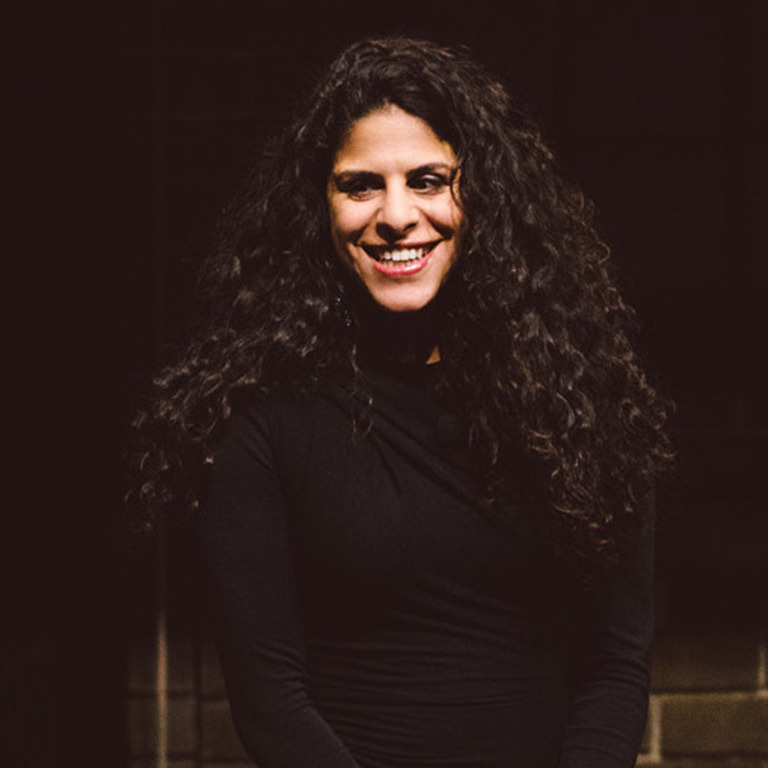 In addition, Miral has directed summer shows for several Six Flags Parks across America, a show featured at Disneyland’s ElecTRONica Festival, and has 2 shows currently being performed at sea on the luxury cruise line, Crystal Cruises. She has directed and produced a full-length show, Artist of Light, that lived in the heart of Broadway for 3 years and has since been touring in Malaysia, Hong Kong, around the states, and is setting up for its premier in Europe. 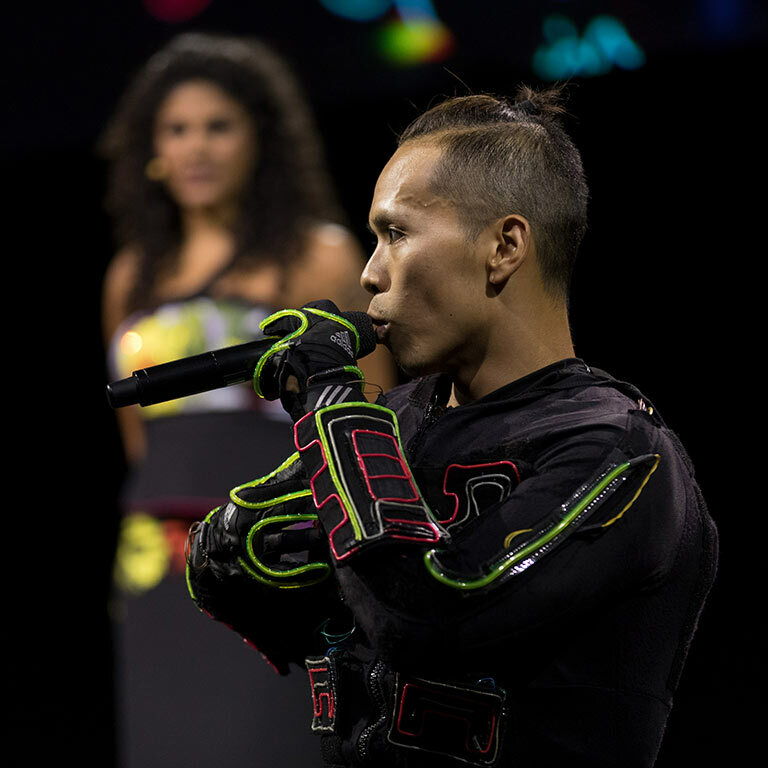 iLuminate also performs for many corporate events around the world with clients including Nike, IBM, Energizer, Starwood Hotels, Intel, MINI Cooper, Lenovo, Capital One, Lexus, among many others. iLuminate has been featured in commercials for College Basketball’s March Madness and Hasboro’s new Twister game. 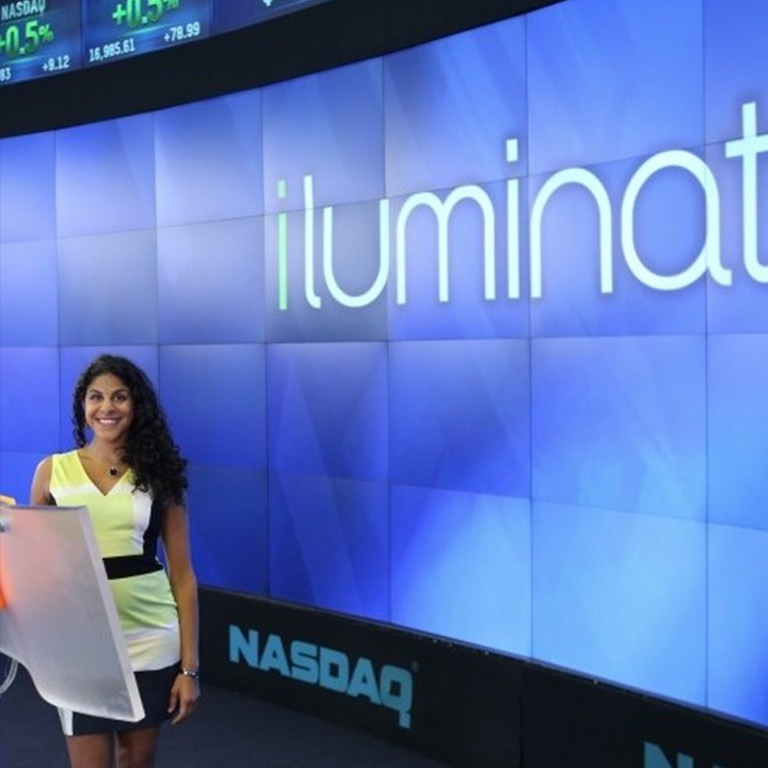 Recently Miral and iLuminate had the honor of ringing the opening bell at NASDAQ. In just a few short years, the rising entrepreneur has become a highly sought after speaker and advocate for women in computer science. 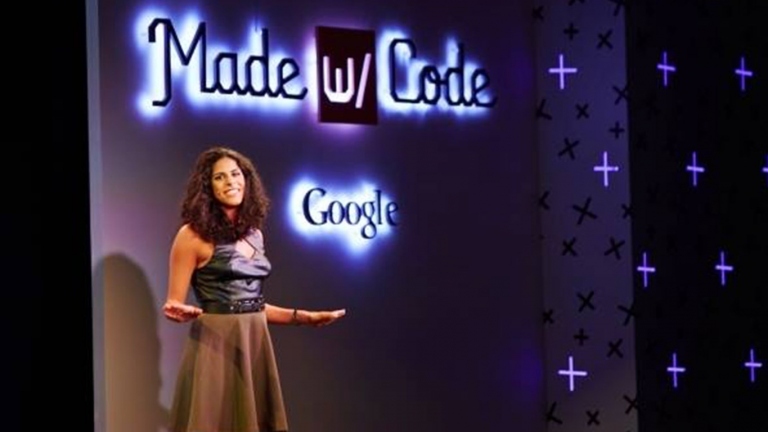 At the personal request of Google founder Larry Page, Miral spoke (alongside Sr. Richard Branson and other renowned speakers) at Google Zeitgeist. She also spoke at the Grace Hopper Conference, a conference focused on women in computing, and appeared along with Mindy Kaling and Iconic Pop at Google’s launch event for Made With Code, an initiative aimed at empowering young women with computing skills. 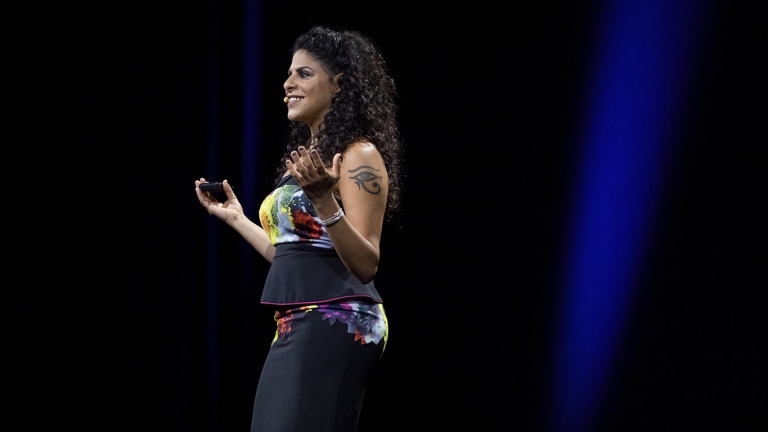 Miral was also a keynote speaker at Apple’s World Wide Developer’s Conference. As a two-time Cancer survivor, she has spoken at foundation galas, including Friends of Egyptian Children with Cancer. She also partnered up with Code.org to create an educational video that is played for students in Elementary schools around the world and she mentors young women in coding. 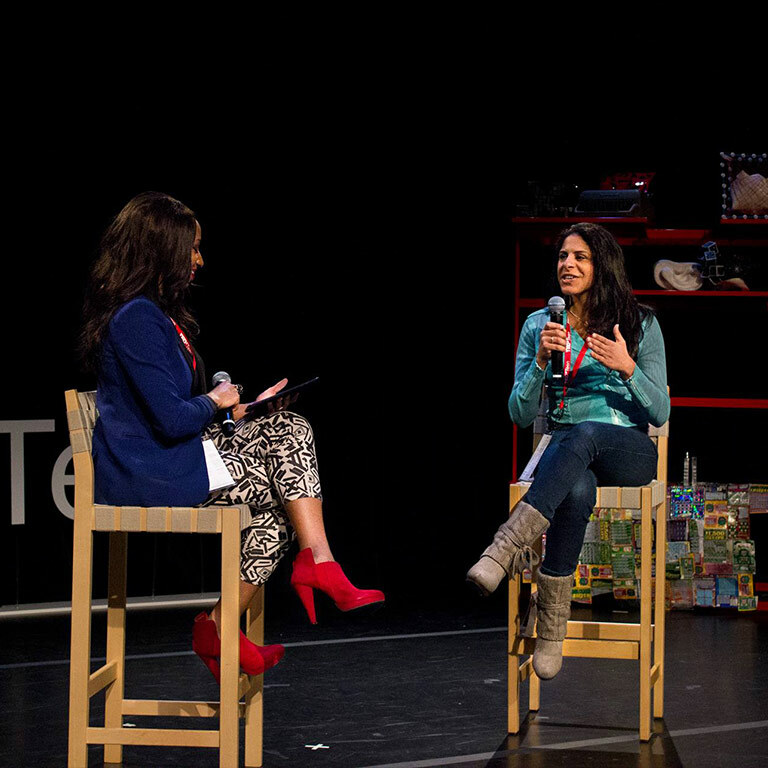 Other notable presentations are: On Cue, TedX Broadway, and TedX Teen Center for Global Brand Leadership. 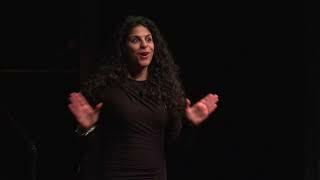 Given Miral’s vast background, she is able to tailor her talk to fit the message and audience. One topic she focuses on is Women in Technology, with presentations to both young girls in school interested in pursuing technical careers and women in the work force. As a successful Entrepreneur she speaks about her experiences and the ups and downs of starting and running iLuminate, focusing on Women Entrepreneurs and general Entrepreneurship and Business Management. iLuminate itself is the result of a seamless merge of Art and Technology and Dance and Technology, giving Ms. Kotb to expertise to address audiences in the field of STEM (Science, Technology, Engineering and Math) and STEAM (Science, Technology, Engineering, Art and Math). With this merge of two worlds Ms. Kotb has a presentation that emphasizes the importance of Teamwork and Collaboration and the importance of Co-Inspiration. Ms. Kotb is a Cancer Survivor and she has told her story of the struggles of fighting Cancer and how she allowed this life changing event to inspire her to pursue her dreams. 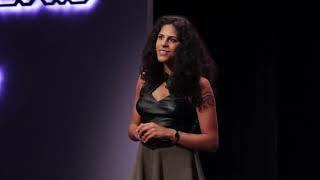 The tone of her presentations are inspiring and encourages audiences to continuously find a way to love what they do in everyday life, follow their dreams, and never get intimidated by life.